I feel like they were very on top of everything and they had a great, knowledgeable crew. I like that the supervisor was on site each day once they started the work. I would say, the information and process to start with. They streamlined it. The staff speaks English, which is important. They are pretty knowledgeable about what they are doing. They really make my yard look nice. They've been very responsive to my landscaping problems. 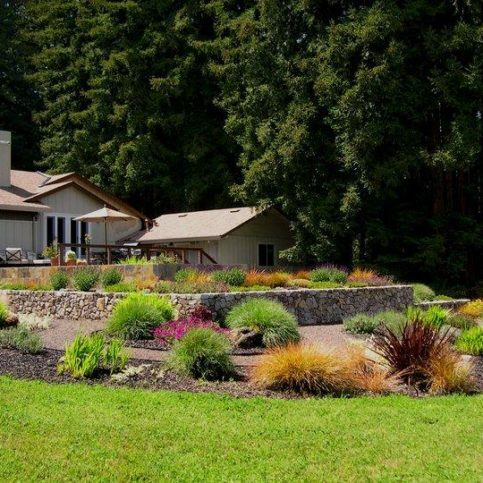 Gardens of the Wine Country provides complete landscaping services for high-end residences, estates, inns, and wineries in all of Sonoma and Napa Counties. The company focuses on the landscape management, maintenance, enhancement and design of large residential properties. It installs planting, irrigation, and landscape-related “hardscape” construction such as decks, arbors, stone work, concrete, patios, walls, and water features. 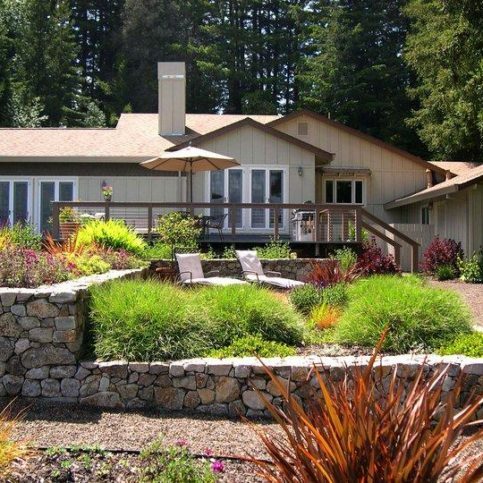 Gardens of the Wine Country stays continually connected with its clients by providing them with weekly reports and jobsite reviews upon request. “We think of ourselves as a small, personally connected group of professionals whom clients can feel comfortable communicating with on a first-name basis,” says Mr. Kostelnik. 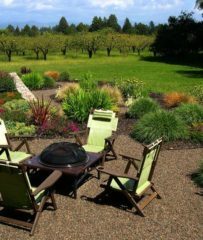 Gardens of the Wine Country creates outdoor environments that reflect its customers' tastes. Acid etched stain applications work best on newly poured or installed concrete, but the process can also be applied successfully to old concrete. The key to refurbishing old concrete is an extremely clean surface, free of all stains, oils, grease and sealers. The acid etch chemicals must be able to react with the chemicals in the concrete, so it’s important to remove any foreign materials that might contaminate the process. If you can’t get the surface sufficiently clean, you can pour a thin concrete veneer over it. It also may be necessary to sand or pellet blast the surface. • Make sure you move, cover and tape off any surrounding vegetation to limit overspray damage from the acid etch coloring agent. • Wear protective clothing, including safety glasses and rubber gloves and boots. Mix the acid etch coloring agent in a plastic bucket. • It’s best to apply the etching agent with a garden sprayer. Keep the spray wand about 18 to 24 inches from the surface and keep it moving. You want the surface thoroughly wetted but not puddling. • Let the surface dry for about an hour. If you want it darker, spray again after the first drying period. • After the floor has dried completely, neutralize the surface by spraying it with a solution of one part ammonia to four parts fresh water. • Once you’re completely done, you can spray the entire surface with a sealer to give it vibrancy and depth. Q: Do your estimates cover all aspects of the job? A: Yes. All our estimates are in writing and cover the entire job. If there are any exclusions, we clearly state them so there are no surprises or hidden charges. Q: How long does a job take to complete? A: That varies with the job, but we’ll give you a time estimate when we submit our bid. Once we start a job, we keep working until it’s complete. We don’t bounce from job to job. Q: When can you start my project? A: In most cases, we can start seven to 10 days after we provide the quote. Q: How are your crews supervised? A: Every crew has a foreman, and our owner, Alan Kostelnik, is often onsite supervising as well. A: Yes. If permits are required, we’ll arrange for them. Q: What’s your payment schedule like? Do you require a deposit? A: We charge weekly progress fees based on the work completed each week, and the final 30 percent isn’t due until the project is complete. We don’t require a deposit. Gardens of the Wine Country built this garden arbor. 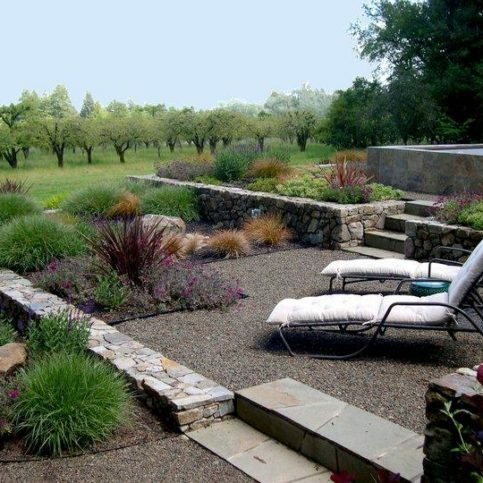 Gardens of the Wine Country installed these stone walls to create new elevations. 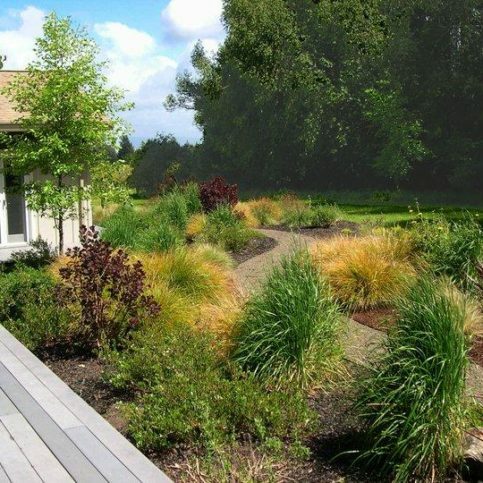 This water-conserving yet colorful design uses a variety of ornamental grasses. 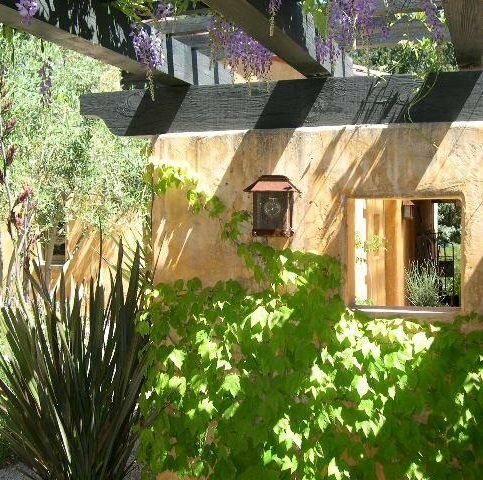 Gardens of the Wine Country creates outdoor environments that reflect its customers’ tastes. This breakfast nook patio features mulch with grasses. 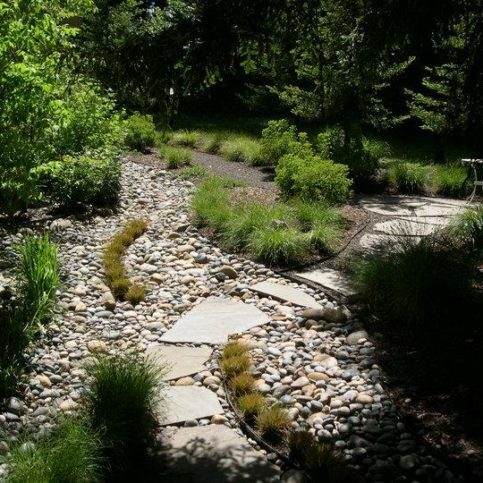 Gardens of the Wine Country created this dry creek bed with stepping stones to add to the naturalization of a client’s property. 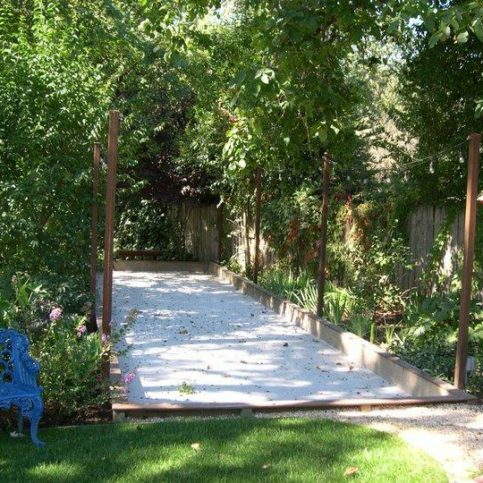 Gardens of the Wine Country built this bocce ball court. 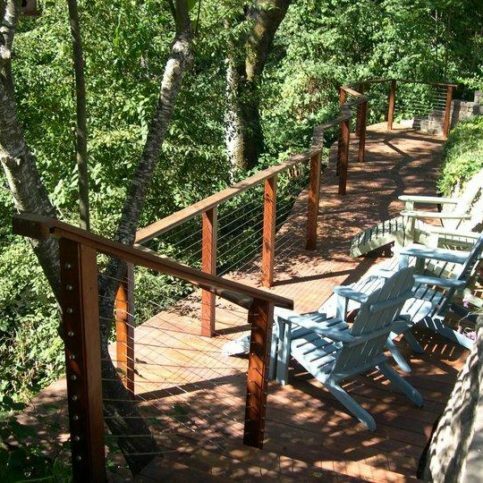 Gardens of the Wine Country built this creekside deck. 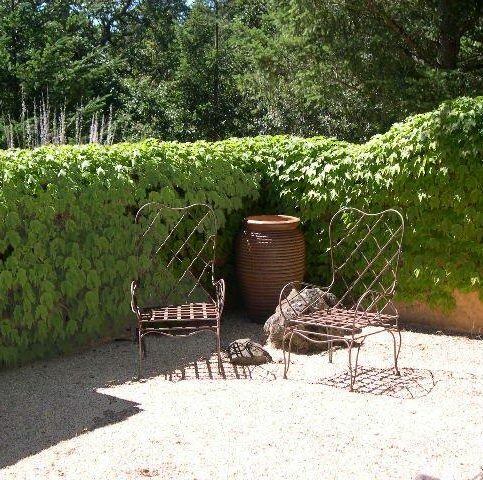 Gardens of the Wine Country planted this beech tree with organic mulch and ivy. 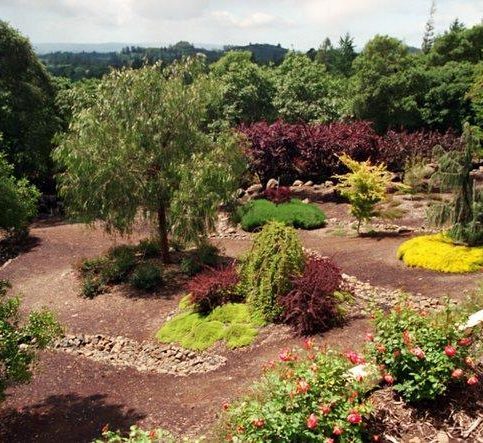 Gardens of the Wine Country uses multiple plant varieties in its garden projects. 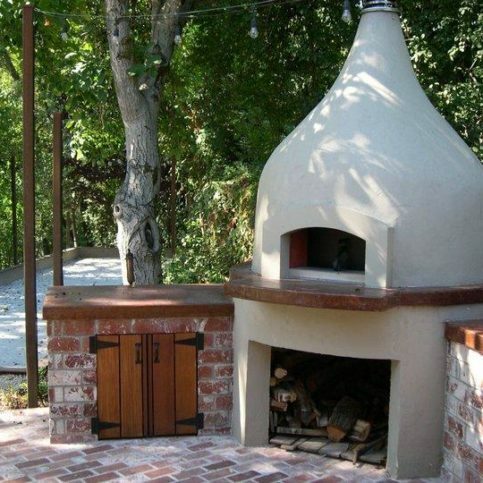 Gardens of the Wine Country built this pizza oven that includes brickwork. 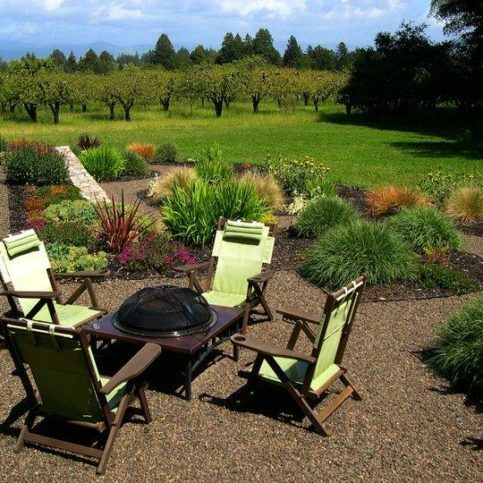 Alan Kostelnik is owner of Gardens of the Wine Country, a Diamond Certified company since 2003. He can be reached at (707) 925-2964 or by email. SANTA ROSA – Alan Kostelnik hasn’t always worked in the landscaping industry—in fact, he started his career as an educator, but it wasn’t long until he found himself at an impasse. “I had been working as a high school teacher for a few years when I realized it wasn’t for me,” he explains. In what was initially to be a temporary transition, Alan traded his ruler for a shovel, his blackboard for topsoil and the inside of the classroom for the fresh air of residential landscapes. As it turned out, this provisional detour eventually became a permanent direction. “I had some previous experience in landscape work during my college years, so I decided to put together a small gardening business as a temporary means of making a living until I figured out what to do next. In time, I found I had an aptitude for the landscaping business, and I really enjoyed it.” After he decided to make landscaping a career, Alan returned to school to receive a more formal education in important industry aspects like horticulture and landscape design and installation. A: The Giants, the 49ers and the Warriors, as well as my hometown teams, the Detroit Tigers and the Detroit Lions. Q: What websites do you visit every day? A: The Huffington Post, the New York Times and Facebook. Q: Do you have a favorite tree? A: I like the Burgundy-leafed Japanese Maple, the Mayten tree, the Oak and the olive tree. A: I like dramas that have twisted, complicated plotlines, but I also like comedies and films based on reality. 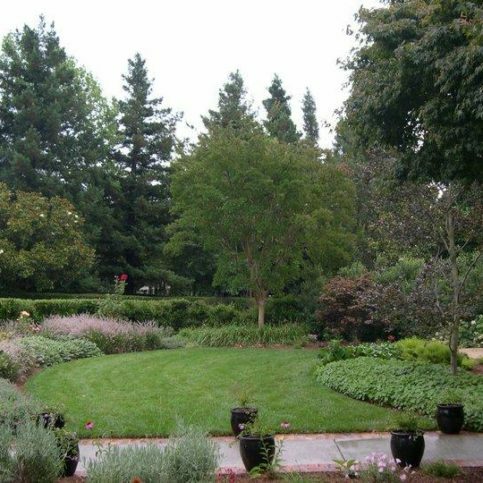 SANTA ROSA — In addition to watering, one of the most important aspects of maintaining a garden is protecting it from the local wildlife. While this can be a challenging endeavor, there are several simple ways to deter harmful animals and keep your garden beautiful. 1. Combine raw garlic cloves, habanero peppers and jalapeno peppers in a blender and mash them up. 2. Put this mixture into an empty plastic container, add some water and let it steep for three to four days. 3. Strain the mixture through cheesecloth and put the liquid into a spray bottle. 4. Spray the liquid directly onto your plants. In addition to vegetation, another thing that attracts animals to a garden is water, particularly from an automatic drip system. In some instances, deer will attempt to get a drink of water out of the drip system and pull off one of the water emitters in the process. Since a damaged water emitter can result in overwatering, it’s a good idea to periodically check your drip system for deer damage and watch for water-stressed plants. Besides deer, two other common culprits of plant damage are moles and gophers. Moles thrive in softer soil, which is another reason to avoid overwatering. While traditional rat poison can be used to eradicate moles, the best products to deter gophers are “gopher baskets.” When these metal wire baskets are placed in the soil beneath your plants, they surround the roots and protect them from gophers. 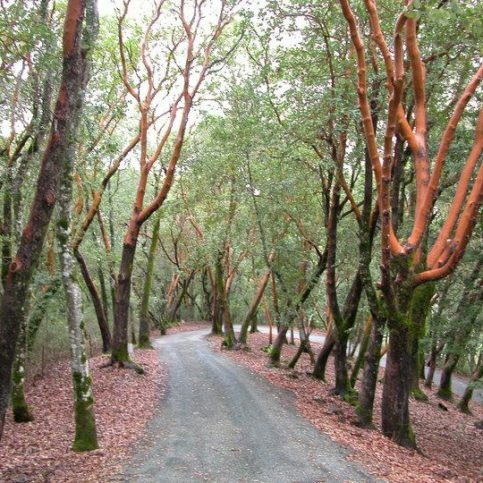 SANTA ROSA — To be good citizens, Governor Jerry Brown has asked us to cut back on our water usage by 20 percent. It’s a fact that we won’t save that 20 percent by running our dishwashers, washing machines or showers less…in fact, would you or your family and friends really want to? So where is that 20 percent savings expected to come from? Your outdoor and landscape water use, of course…that’s where the lion’s share of everyone’s water use is anyway. 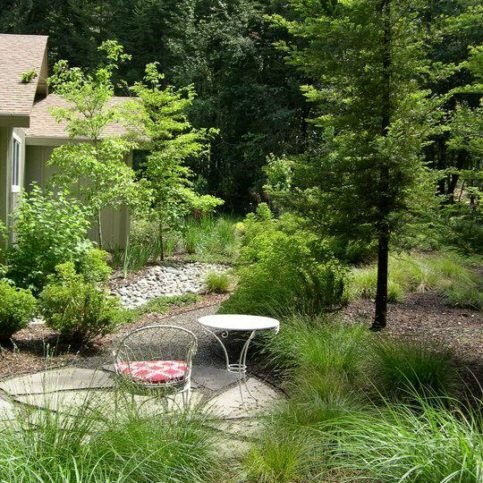 As our Northern California summer heats up and drags on, our lawns are getting browner and our plants are getting droopier, all while the cost of the water we use goes up and our billing rates climb into the higher billing tiers at our water companies! Large shrub areas that are currently being sprayed can easily be converted to drip systems by plugging and eliminating most of the spray head inlets, and then tapping into a few existing outlets to add drip hose and emitters. Pressure reducers and filters are also necessary, especially if you’re on a well. 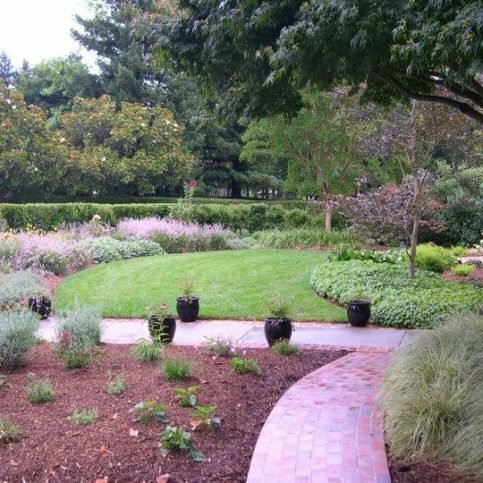 Ground cover beds and areas can be converted to drip in the same manner as you would the large shrub areas outlined above. However, instead of drip hose and emitters, add a product called “Netafim,” which has the emitters impregnated into the piping. You simply snake the flexible pipe throughout the groundcover beds and tie it into the existing PVC lines underground. Set multiple start times on your irrigation controller so the water you do apply actually sinks into the ground (called a soak cycle) and doesn’t run off onto the sidewalks, driveways and gutters. Your soil is like a sponge—after it gets saturated, the additional water just runs off, so set “soak cycles.” Instead of watering your lawn every day for 10 minutes, water it twice a day for 3 minutes each time or cycle (say 5am and 12pm). That way, all the water gets absorbed and used where it should be. There’s a lot of new, efficient irrigation equipment on the market that can easily be added to old systems. “Smart Controller” rotating spray heads, check valves that make sure water lines don’t continue to drain when they’re turned off…these are just a few examples of how to make your existing irrigation system more efficient! 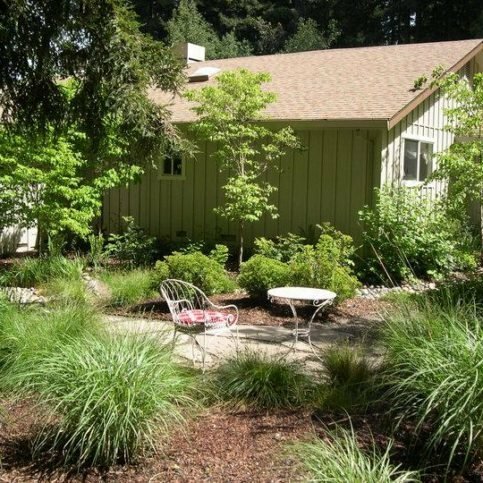 SANTA ROSA — Host, Sarah Rutan: If you have a garden around your home, you’ll not only want to protect them from the elements but you’ll also want to protect them from wildlife as well. So today we’re in Santa Rosa with Diamond Certified Expert Contributor Alan Kostelnik of Gardens of the Wine Country to learn how to protect your plants from wildlife. Expert Contributor, Alan Kostelnik: When designing, planting and managing your garden, consider its exposure to the wildlife present in your area. There are many remedies, there is people that build cages, there is deer netting or bird netting. A simple home remedy you can make in your own kitchen is to take garlic cloves, jabanero peppers and jalapeno peppers, put them in your blender and mash them up. There is no need to peel, there is no need to cook. Mash them up in your blender, then take the mash and put it in an old plastic gallon milk jug , empty gallon milk jug, add some water and let it steep for about three or four days in your garage. After that, you take it and strain it through some cheesecloth, put the liquid in a little atomizer spray bottle and spray that directly on the plant. This plant is called a euphorbia. The problem here is the deer haven’t bothered it but what they have done is deer get thirsty and when the drip emitters are working, the deer see that and they will attempt to get a drink of water out of it and many times they will pull the emitter right off which will cause the plant to drown because of over water. 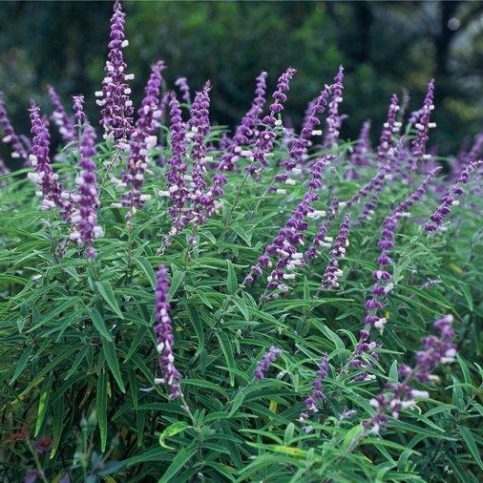 So you’ll need to check your emitters for deer damage when you see stress to your plants. Two other major culprits when it comes to native wildlife are gophers and moles. Over watering tends to bring them on because it increases the food source, especially in the case of moles. If you’re constantly watering your lawn day in and day out, you’ll have a very wet subsurface and the moles will continue to thrive. 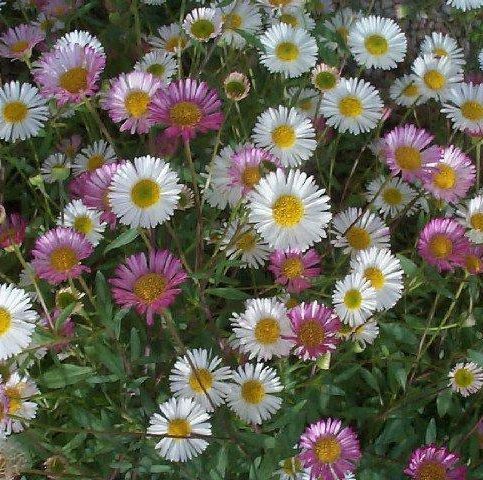 The best thing to do for plant material as far as gophers are concerned are gopher baskets, which is essentially a wire basket that you put the plant roots in, put the plants in the basket in the ground in the planting hole altogether. Moles are essentially subterranean rats and they will eat rat poison, which are little green cakes that you can buy at any hardware store or garden center. 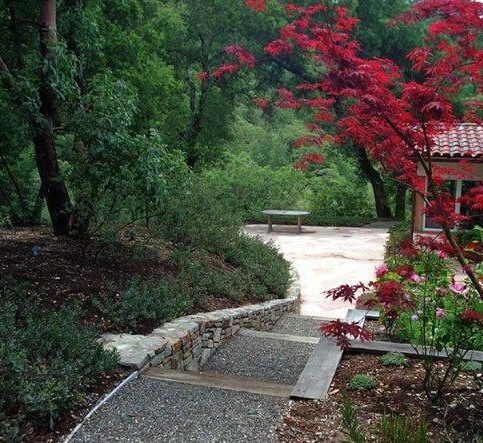 Gardens of the Wine Country : Average 8.0 out of 10 based on 200 unique customer surveys of customer satisfaction. The communicativeness of Allen, he was on email each day with updates on the process. Whenever we had a question, he sent a responsive immediately. And he gave up to date timeline information every so often. They did a very solid job. 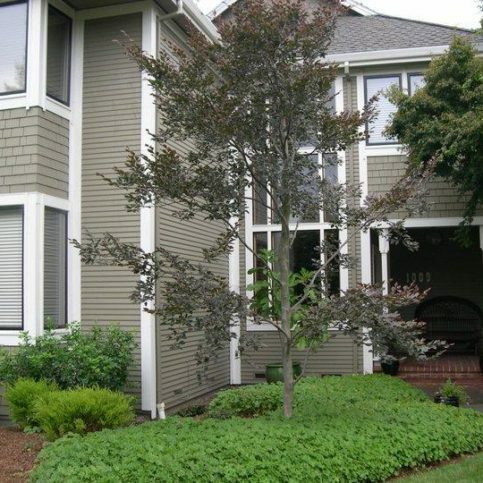 They are responsive, neat, and did a thorough job on every aspect of the work. The quality of the craftsmanship was very high. They have solid work in both design and repair. We had two different scopes of work for them, repairs and new work which required the design. So the quality and expertise, I would say was the best. We like going there. The staff is awesome. They were able to make our areas look amazing. The options they gave us, I guess. They were reliable, they did absolutely beautiful work, and they were responsive to all of my questions and needs. The job they did on my landscaping, they even worked on Thanksgiving, and they were awesome. I have already told friends that he got right to the nut of what I needed to have happen. It was beautiful and relatively affordable. It made my little front yard livable, and it put everything into focus. I am very satisfied, and I have mentioned him to a lot of people. He also worked well with me on getting the materials to look natural. He was patient, and he did his end of the research. I ended up with something that was just really beautiful. I had interviewed about 4 other people, and he was very down to earth and very experienced. He dealt with making everything walkable and safe. I really do think the world of him. I like their customer service, and they are on top of things. They get back to you in a reasonable amount of time. I have been very, very happy with their service. They get things done without me having to tell them, and they are very thorough. I have a specialized garden, and they are able to do different things every time. They are very willing to do whatever I ask. I like the fact that they speak English, which makes it much easier to communicate. They'd be very happy with their services. I think that the men take their jobs very seriously. They're very earnest about customer service, and they know their plants very well. They're absolutely a '10'. The employees are extremely considerate and very helpful. When they finish the work, they always ask if there is anything else they can do. He's very conscientious and he's on it. He returns phone calls and emails right away. He's not difficult to talk to. He's a really good gardener. They are always on time. Alan returns emails almost immediately. He is very good about communicating. The bills are nicely detailed. Very prompt, very thorough, good follow-up, and the work that they do is great. They are great. They are really thorough, they do a nice job with the plants, they seem to know how to trim everything properly, and the garden has never looked better. They were honest, informative, and they did a very good job replacing my lawn. I have only worked with them for one month, and so far so good. They show up on time and take care of things.